Picture this; it’s Friday on a gorgeous summer night in Chicago, The Loop is lively, The Lake is looking gorgeous, and you’re on a Yacht basking in all this beauty with a drink in your hand, good music playing, and everyone's having a good time. Sounds like fun? 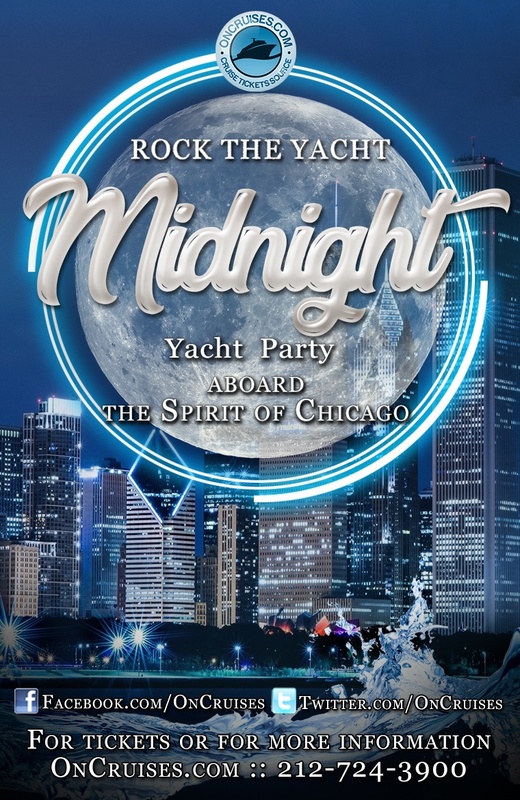 Well that’s what you’ll expect on this Midnight cruise.You’ll be aboard The Spirit of Chicago Yacht. A magnificent vessel with 3 indoor floors, and an observation deck where you’ll get premium views Grant Park, the AON center, and rest of that famous Chicago skyline. Let that cool summer midnight breeze take you away as the good vibes sink in, and lose yourself to the groove. Speaking of groove. Grab a drink at one the bars located on the ship, and bust out a couple moves on the dance floor. Our live DJ will ensure a night of chill vibes playing the hottest tracks in Hip-Hop, Pop, Dance, and Top 40 hits.Okay so now that you know what's going on…What are you waiting for? Tell your friends, clear your schedule, and get your ticket(s) now before they run out. Get your ticket(s) now! Before we run out! Hey, you know those amazing pics and vids you’ll be taking the whole night? You shouldn’t be greedy with all those good memories, post em’ up on social media and let everyone know your were living your best life on one of coolest Chicago cruise events. While you’re at it, don’t forget to tag us on Instagram, Facebook, and Twitter! Use #OnTheLake so everyone knows where the party’s at!